According to Safe Night Coordinator Emily Webb, the Teen Center will have life size Jenga, inflatables targeting older kids and adults and corn hole boards for teens in middle school and up. 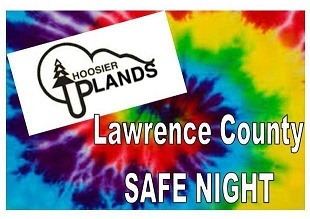 Safe Night is free to the public and is hosted by Hoosier Uplands. As always, Safe Night will have activities, food, information and entertainment for the entire family and it is all free. Safe Night encourages the community to participate through hosting booths on site and attending this free event.